"All their education was directed toward prompt obedience to authority, stout endurance of hardship, and victory or death in battle." 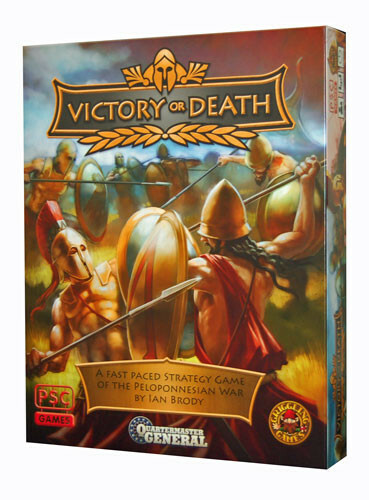 During a game of Victory or Death, you will play one or both powers on either the Oligarch team or Demos team. After 15 rounds of play, the team with the most victory points wins the game, although the game may end sooner if one team leads by 10 or more points at the end of a Scoring round. NOTE: Manufactured by The Plastic Soldier Company; distributed by Griggling Games.